Once upon a time Revelstoke was just a small stop along the Trans-Canada Highway with an economy that depended on logging. Locals would ski at Powder Springs, a small but worthy area that would soon explode in terrain availability once the gondola was put in in 2007. The gondola opened up easy access to more intense terrain, and soon after the area was discovered by the masses as Revelstoke Mountain Resort. The area has become so hyped up in the recent years that I’ve found it’s actually quite common for other skiers to call it ‘too touristy’ or ‘overrated.’ Luckily, we have the local Revelstoke crew The Blondes to answer the question: Does it still live up to the hype? Emily Childs, Tonje Kvivik and Janelle Yip sure think so. 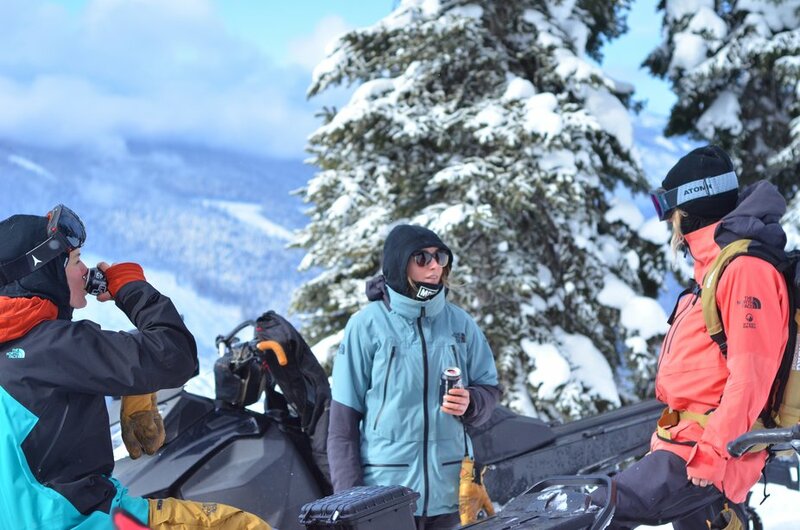 “Revelstoke has some of the sickest inbounds terrain,” said Emily, though nowadays she can often be found on her sled in the backcountry as well, a draw for many to the mountain town. The terrain both inbounds and in the backcountry are generally worth the trip out there. Pillow lines, gladed trees and steep chutes litter the mountainside. Even on the busiest of weekends, the remote local of Revy - five hours from both Vancouver and Calgary, means there is generally fresh powder to be found. However, Revelstoke Mountain Resort is a little bit unique compared to other nearby resorts. There are only two chairlifts: The Stoke and The Ripper and, of course, the gondola. Janelle chirped in, “It weeds out only the strong can reach the powder.” Jokes aside, finding the inbounds powder often requires traversing, boot packing or sidestepping. 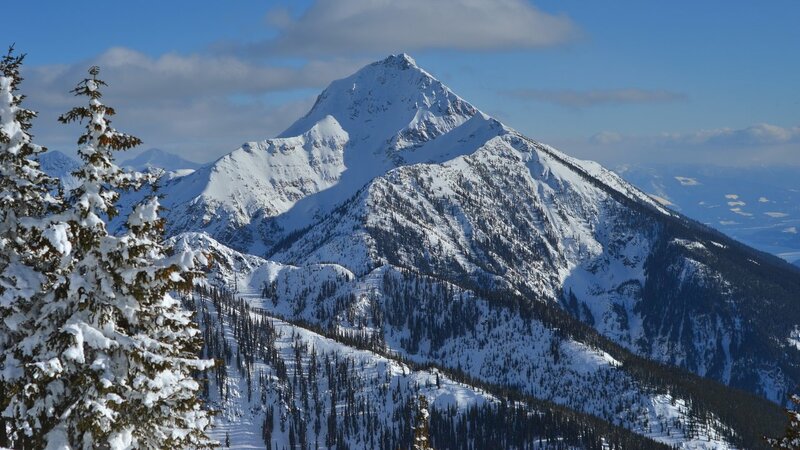 One of the most popular locations for skiers to huck their meat off is the cliff band known as Gracias Ridge, which requires two rather extensive traverses. For comparison: It makes Alta traverses look short and easy...like… really short and really easy. “The hype is real,” added Emily. The quest for powder in Revelstoke expands well outside of the realms of Revelstoke Mountain Resort, especially if it’s been a few weeks since a good storm cycle. As the Blondes continue to film for their next season video edit they move deeper into the backcountry, seeking out zones that are only told word-of-mouth. Their weapons of choice? Sleds, which thanks to a couple of friendly reminders from the local Conservation Corps, are now all registered. The popularity of Revelstoke in the past five years has, no doubt, jumped quite extensively gaining attention from skiers and non-skiers alike. The cost of living is higher, the lift lines are long and there’s more traffic in town. But honestly? The terrain is still epic with plenty of untracked line choices, you just have to go out and seek them. One day in Revelstoke, skiing with new old friends.